Here it is Day 5. I have been really good about staying on track, but over the last couple of days, we have veered off of the prescribed menu. Last night, due to a late night meeting, we ate at Taco Bell. 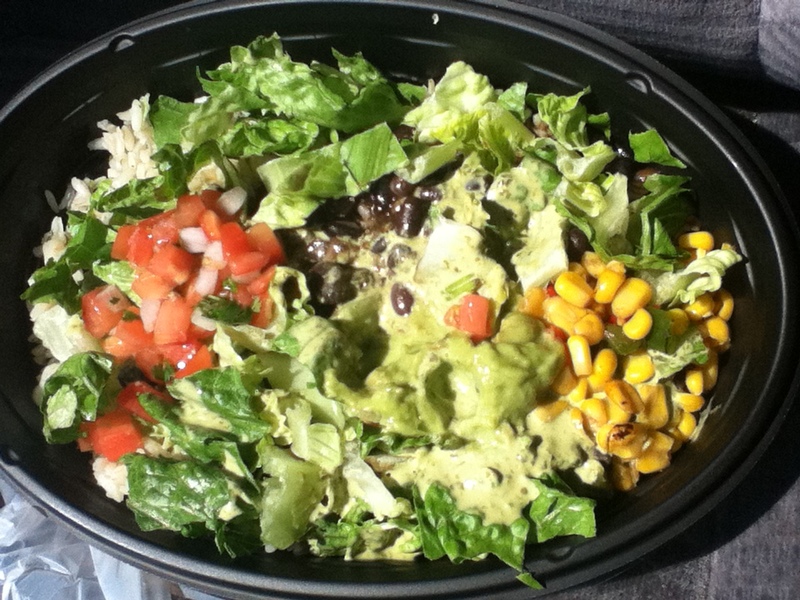 We had the Veggie Cantina Bowl, but it turns out that it is apparently not Vegan. Based on information on Taco Bell’s website, the Cilantro dressing is the culprit. If I can order it next time without the dressing, we should be 100% vegan!! After dinner we really wanted a sweet treat as well. We have not really had one all week. We did some research and found out that the Arby’s Cherry and Apple Turnovers are vegan. See the complete Arby’s ingredient list here. One thing to definitely keep in mind — a vegan lifestyle DOES NOT mean a Fat free or low fat or low calorie diet!! What Julianne and I are really trying to do is mix low fat, low calorie and vegan. Really limits menu choices. Admittedly, the Cherry Turnovers were vegan, but they are high in calories and fat. I definitely need to be more mindful of that. We are back on track this morning with more oatmeal, with apples and some slivered almonds. We wiped out the leftovers yesterday, so I am sure there is something fun on the agenda for this afternoon and tonight. My hope is to be under 450 pounds by weigh in on Saturday morning.